Daniel Gómez Jiménez-Landi and Fernando Garcia. Photo courtesy of Comando G.
“This is a chord, this is another, this is a third. Now form a band” was how Sideburns fanzine famously encapsulated punk spirit in January 1977. 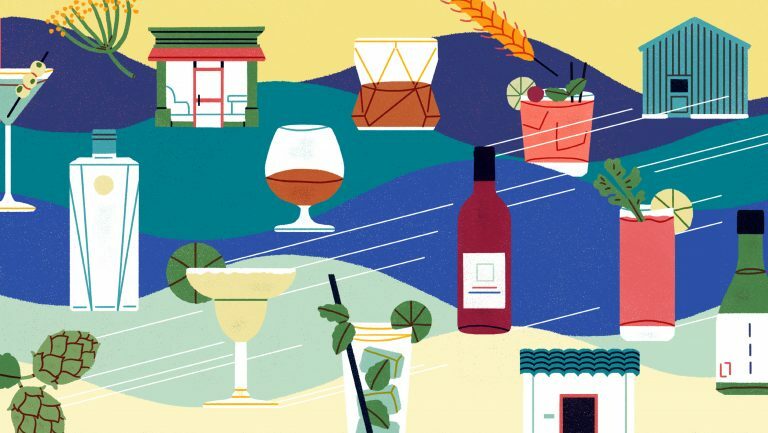 Today, while the medium is different, a similar ‘do-it-yourself’ attitude pervades Spain’s rediscovered wine regions. 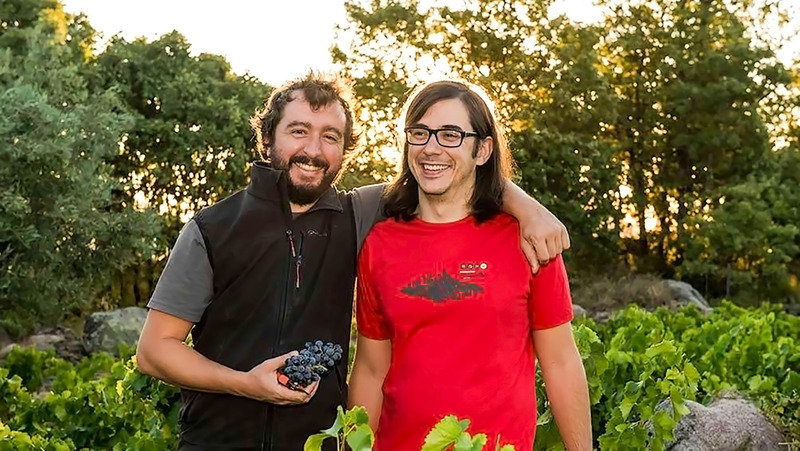 From the wild hinterlands of Tenerife and Ribeira Sacra to here, high in the Gredos Mountains west of Madrid, tenacious dreamers like Daniel Gómez Jiménez-Landi and Fernando Garcia of Comando G have avoided prohibitive set up costs reviving unwanted parcels of indigenous old-vines. Their trajectory may be more “This is a bottle of Château Rayas, this is another, this is a third. Now form a winery,” but such democratization has resulted in some the freshest vinous finds of recent years. Squint at the vibrant hues of the Sierra de Gredos in Spring and you can mistake it for Wales, broken by a smattering of faded towns whose best days seem long ago. 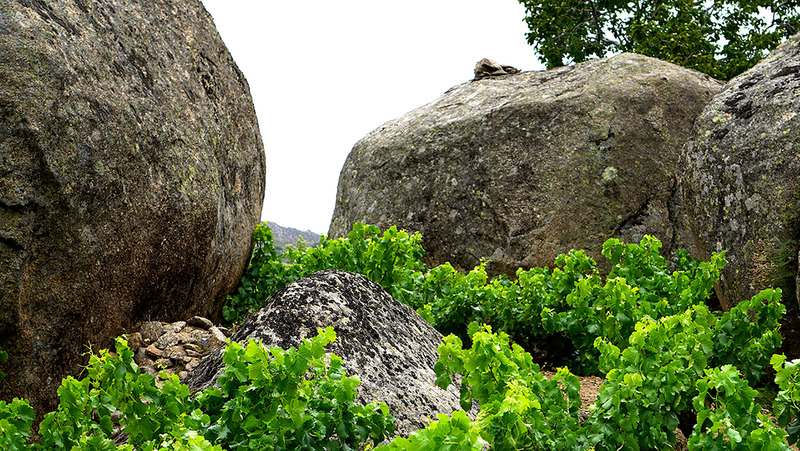 In this part of Spain, Garnacha—AKA Grenache—has long been king. 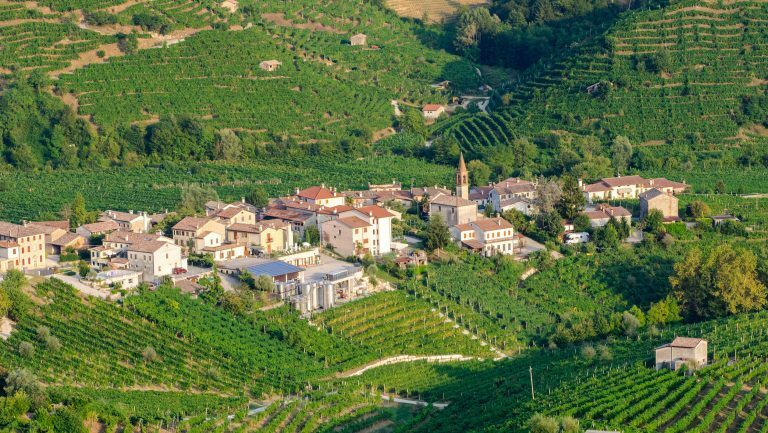 Originally a center for bulk-wine production, this impoverished central region grows just 10 percent of its 1950s to 1970s heyday, when co-operatives harvested over a million kilograms of grapes a year. Overproduction, EU laws and high farming costs (due to the steep terrain) eventually made the industry unsustainable, forcing the mass migration of workers into the cities in search of better paid jobs. Only an hour drive from Madrid, abundant abandoned bush vines grow among fig and olive trees at high altitude, like lost treasure waiting to be discovered. With big diurnal day to night temperature swings producing intense, well balanced fruit, and having missed the chemical abuses of the 1980s, there are few better places for two winemakers citing the world’s greatest Grenache—Château Rayas—as their inspiration, to set up their own domaine. Singular wines of extraordinary grace, that Comando G have already harnessed a similarly understated sensibility is testament to the estate’s potential. 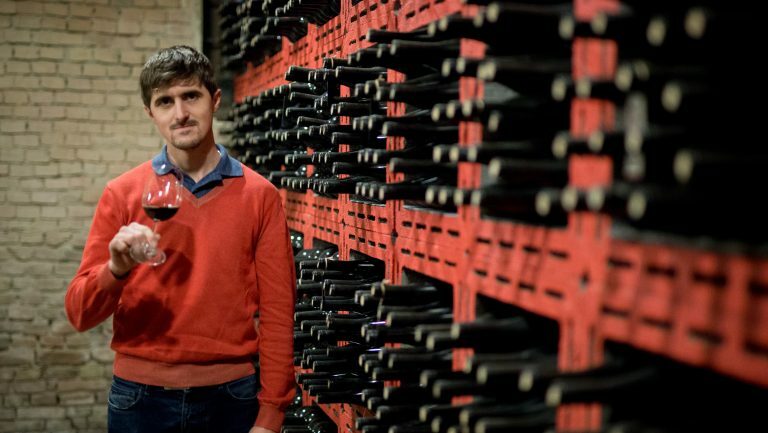 Producing six bio-dynamic cuvées—five reds from 100 percent Garnacha and a white, ‘El Tamboril’, from Garnacha Gris and Garnacha Blanco—Comando G structure their portfolio around Burgundy’s hierarchical Cru system. Farmed in obscure granite and sandstone parcels that the boys meticulously bought by gaining the trust of locals, the range goes from “village” ‘La Bruja de Rozas’ and ’Rozas 1er Cru’, to three “Grand Cru” single vineyards: ‘Tumba del Rey Moro’, ‘Las Umbrias’ and ‘Rumbo al Norte’, where vines grow among huge boulders that look like they’ve been carelessly discarded by giants. What I love about these wines is their balance between generosity and restraint: relatively light in color, the house style teases delicate perfumes of flowers, rocks and minerals around pure fruit cores. The silky and finessed 2016 ’Rozas 1er Cru’ has been one of my favourite wines of the summer; at around half the price of the “Grand Crus” it’s the range’s sweet spot, lacking none of their deliciousness at this early stage. 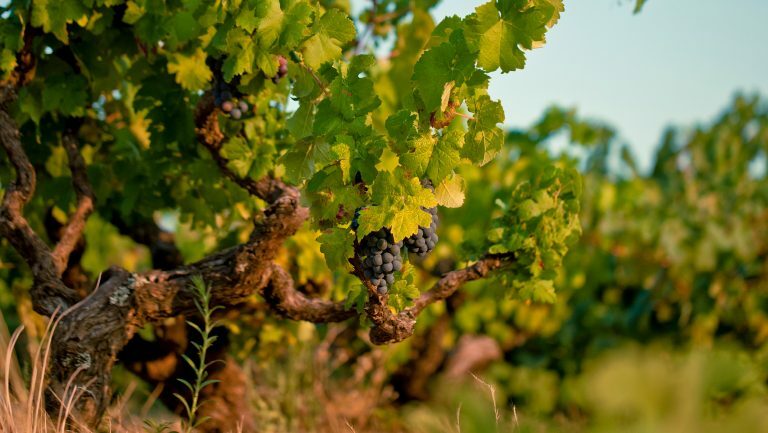 Like long-established Château Rayas and Domaine Gramenon in Southern France, and younger contemporaries such as Eben Sadie in South Africa and Tribute to Grace in California, these Grenaches are world-class thoroughbreds, rather than the low-rent work horses of bulk wine. Photo courtesy of Comando G.
Growing up on his family estate in Gredos (which he left due to a disagreement over cultivating international varietals), Daniel also produces wines under his eponymous Daniel Gómez Jiménez-Landi imprint, while Fernando worked for Telmo Rodriguez, Raul Perez and Madrid wine shop Lavinia, before setting up Bodega Marañones, where he still makes wine. Launching Comando G in 2008 with Marc Isart, a third partner who since has left, the estate became Daniel and Fernando’s priority in 2013 as it began to garner international attention. The name Comando G is a reference to ’80s Japanese cartoon Battle of the Planets, which as part of their passion for alternative pop culture lies at the heart of what they do. At La Fiesta de la Floración the morning tasting is winding down for lunch. Everywhere you look are the great and the good of new wave artisanal wine, from Telmo Rodriguez chatting with Portugal’s Dirk Niepoort, to Envinate—Spain’s other hottest new project—pouring their new vintage for Meursault’s Jean-Marc Roulot and California’s Rajat Parr. If everyone here has something in common it’s a love of balanced wines with a sense of place, rather than bombastic concentration. Later in the afternoon Daniel and his band take to the stage and rock out to Led Zeppelin and Rolling Stones covers, but for now everyone follows the aroma of Pulpo a la Gallega being served under a canopy of olive trees. Noble Rot publishes 3 magazines a year. Subscribe to Noble Rot via its online store. Noble Rot is the home of exciting writing about wine and food. Since its launch in 2013, the magazine has featured chefs Pierre Koffmann, Fergus Henderson, and Yotam Ottolenghi, along with Keira Knightley, Mark Ronson, Brian Eno, Mike D, and Francis Ford Coppola, and blurred the boundaries between gastronomy and the creative arts. 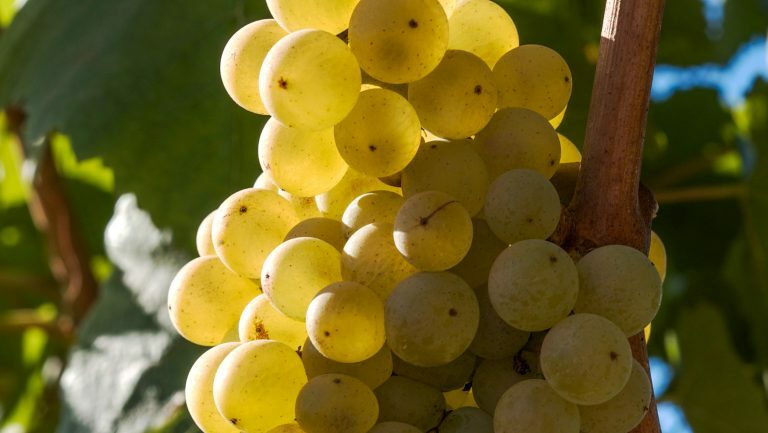 Noble Rot was founded by Dan Keeling, the Louis Roederer Food & Wine Writer of the Year 2017 and 2018, and Mark Andrew, a Master of Wine. The magazine, based in London, is published every four months.